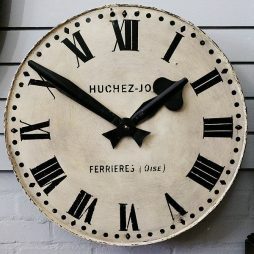 Bespoke Decorative | Interior Boutiques – Antiques for sale and mid century modern furniture, french furniture, antique lighting, retro furniture and danish furniture. 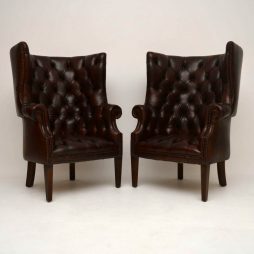 This pair of deep buttoned leather Porters armchairs have been made from new & this particular pair were an actual order from a regular client of mine. 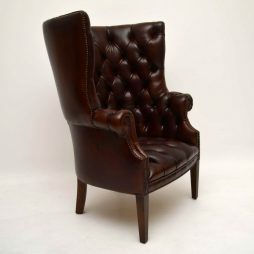 They saw an antique single leather Porters armchair & asked if we could make a pair that were very similar. I must say, they turned out very well, so I thought we should photograph them & post them on the web site. Needless to say, we can take orders for singles or pairs & they can be done in whichever colour leather you want, because the leather is hand dyed after they are upholstered. 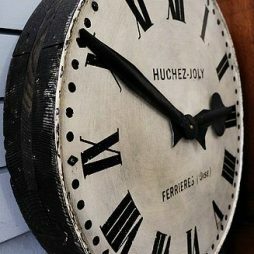 We can also have them coloured with more distressing & antiquing. 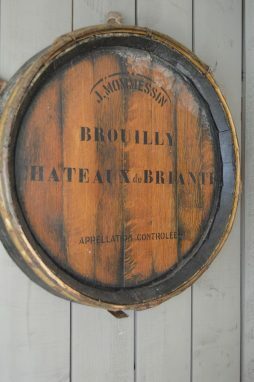 As they are entirely hand made, they do take about 4 – 8 weeks to make. It's a three step process – Make the frames, fully upholster them & hand colour last. It's also worth mentioning that the seats always have hand coiled springs, which will last a lifetime. They are also hand tacked too & have polished mahogany legs. 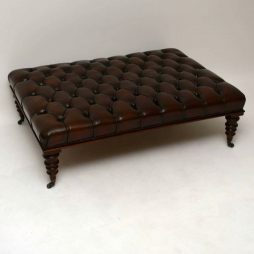 This large antique deep buttoned leather & mahogany coffee table – stool is in stock right now. I have just had two more made, because they seem to be very popular. As usual, we can have them made to order any size or colour. 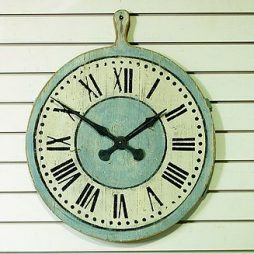 They are very high quality & completely hand made. It's a three stage process which can take one to two months to produce. We make the solid mahogany frame, with turned legs & top quality solid brass casters which are also antiqued. It's then hand polished & sent to the upholsterer. 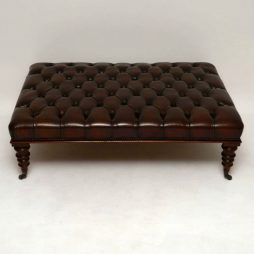 There it's upholstered in deep buttoned leather & hand tacked on to the frame. Finally it's taken to our leather specialist who hand colours & antiques it to any colour you want. We normally try to keep one of these stools in the shop for whoever is able to come and inspect. We will be happy to quote you for any size you want, although the price will be much the same within a foot or so. Please always enlarge all the images to appreciate all the details & finish. 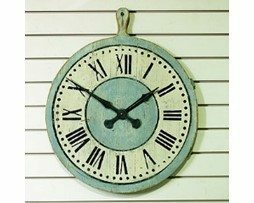 A classically styled wooden wall clock which we have modeled on English Victoria wall clocks i.e. 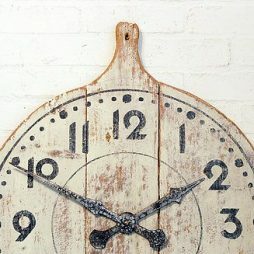 with bold Roman Numerals. 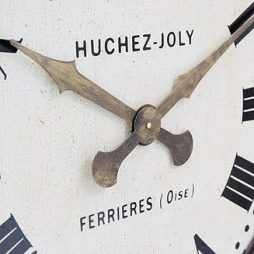 A perfect clock for a wine shop or wine bar as it is a section of an old wine barrel from France with the name of a clock maker from northern France. 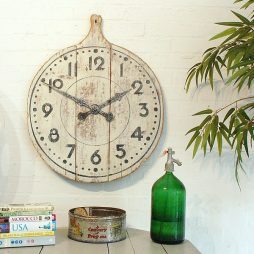 Now fitted with a quartz movement, a great decor item. 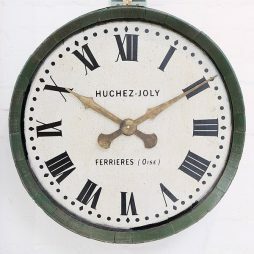 This is a clock we have made in the old style, with a metal dial mounted on to an old French wine barrel. It is full of character and perfect for a wine bar. Fitted with a modern quartz for perfect time keeping. We found an old Continental pine bread / cheese board and applied Arabic numbers to a washed out cream surface. 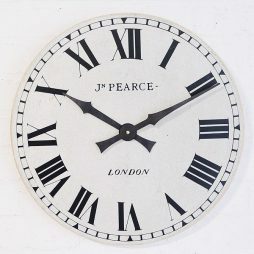 Now fitted with a quartz movement and a pair of hands, it has great character and looks truly authentic. 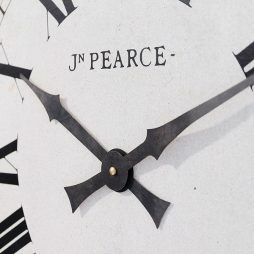 The dial can be personalized if required. We found an old Continental pine bread / cheese board and applied Roman numbers. It has a pastel blue centre and off-white chapter ring. Condition Report : very good condition.. 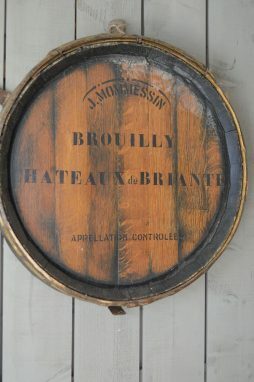 Decorative wine barrel front for a wall hanging.